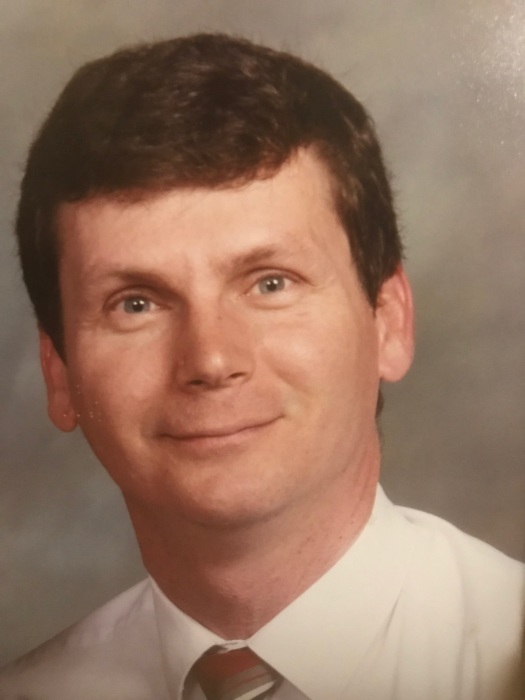 Stanton Leman DeHaven, 56, passed away peacefully in his home after a long illness, on Thursday, November 29, 2018, surrounded by his loving family. Stan was a native of Kentucky, and was a Hampton resident for 22 years. Stan was a brilliant physicist and worked as a researcher at NASA Langley Research Center for over 27 years, where he authored many papers and had a number of patents. He was a member of Langley Christian Church in Hampton, Virginia and was an Eagle Scout. Stan loved the Boy Scout program, and actively served as an Assistant Scoutmaster for Troop 28 in Poquoson for many years. He headed up the Troop’s largest fundraiser, the annual Spaghetti Dinner, for several years, and attended most of the Troop’s activities with his son, Matthew, who is also an Eagle Scout. Stan was born in Owensboro, Kentucky, to Charles William and Anna Ruth Denton DeHaven. He graduated from Owensboro High School in 1980, and studied mechanical engineering at the University of Kentucky, where he received a Bachelor of Science degree in 1984, and a Master’s degree in 1987. He moved to Newport News, Virginia, in May, 1988 to work on submarine piping design for Newport News Shipbuilding, then transferred to the Reactor Plant Planning Yard at NNS. In August, 1991, Stan started work as a researcher at NASA Langley Research Center. While at NASA, he obtained his Master’s degree in Electrical Engineering, followed by his Doctorate degree, also in Electrical Engineering, both from Old Dominion University. Stan loved engineering, and enjoyed understanding how things worked. He not only understood the theory and mathematics behind engineering, but the practical applications of it. Preceded in death by his father and mother, Stan will be forever cherished by his son, Matthew David DeHaven of Hampton, and his former wife, and mother of their son, Anna Marie DeHaven. Stan is also survived by his three loving older brothers, Charles William DeHaven Jr. (Bill), and his wife Jan, of Owensboro; Paul Denton DeHaven, and his wife Barbara, of Savannah, Georgia; and John David DeHaven and his wife Terry, of Bowling Green, Kentucky. He is also survived by his niece Heather, and nephews Paul Jr. and Greg. Stan’s family would like to thank Dr. David Chang, Nurse Rachel, and the staff at Virginia Oncology Associates, as well as, the outstanding staff at Personal Touch Hospice, especially Nurse Willie Davis, for all the kindness and care they provided. The family will receive friends 2:30 – 4:00 p.m. Sunday, December 2 at Claytor Rollins Funeral Home in Poquoson, Virginia. A funeral service will be held 5:00 p.m. Monday, December 2 at Langley Christian Church in Hampton. His earthly remains will be buried in the family plot in Owensboro, Kentucky at a later date. In lieu of flowers the family requests memorial donations be made to the Langley Christian Church on their website at langleycc.org Stan said they would do good work with the money. Condolences to ClaytorRollins.com.